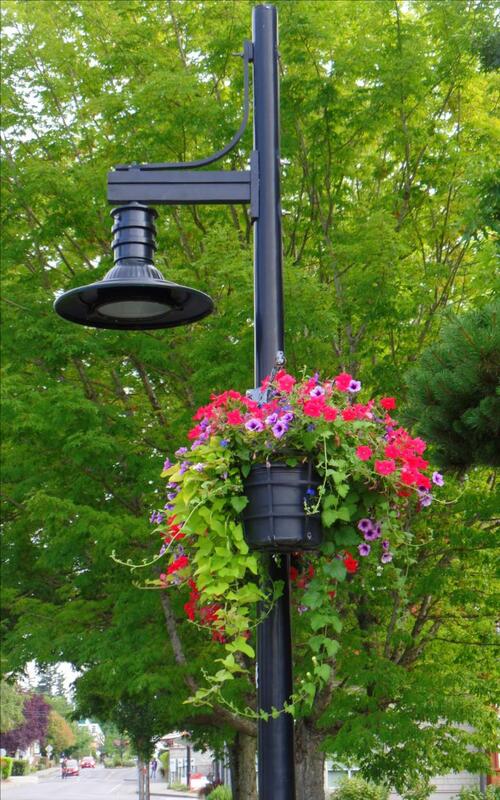 My love of photography began with taking photos of flowers along my walks, so I was thrilled to learn that I was accepted to be in the live audience on Creative Live with Kathleen Clemons from Maine. 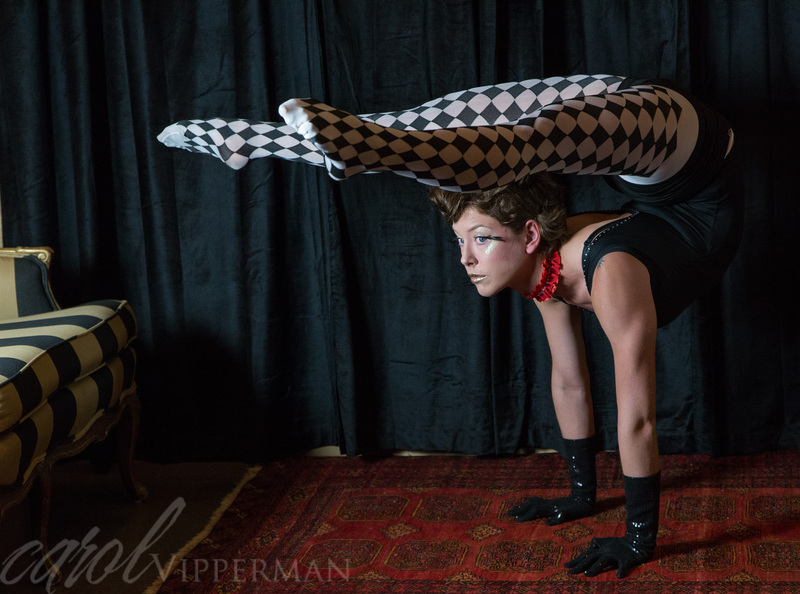 She is a very talented instructor and photographer. 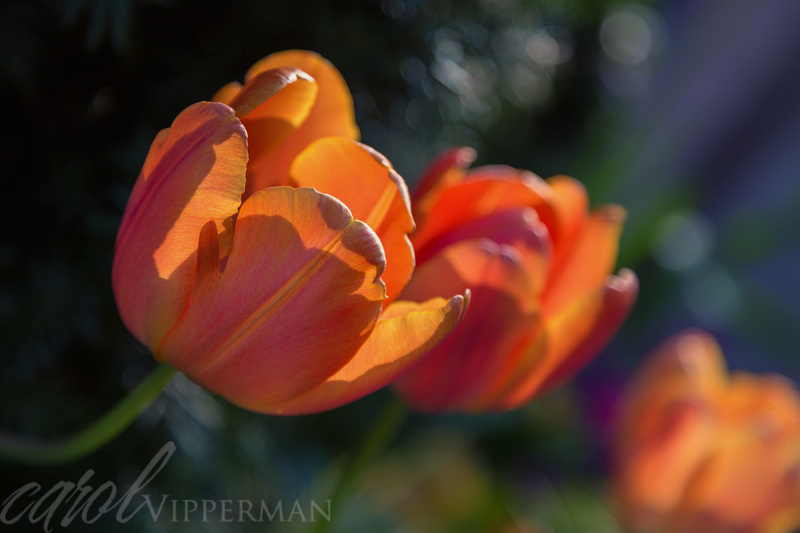 Her knowledge and love of flower photography is impressive! She gave information about her gear, practical tools to help while out shooting flowers, and most importantly how to see the essence of the flower. Another great discovery for me is that she does not use a tripod! 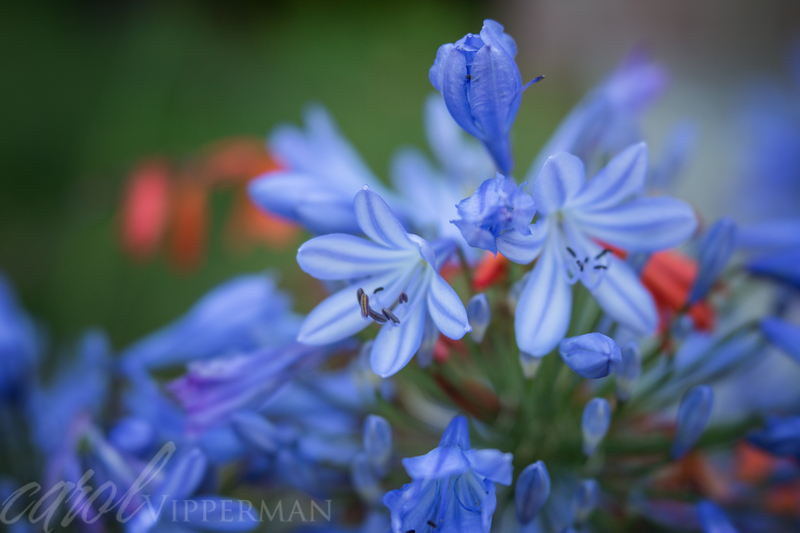 This was a plus, as it is difficult to carry a tripod when out Camera Walking, which is when I usually take photos of flowers. 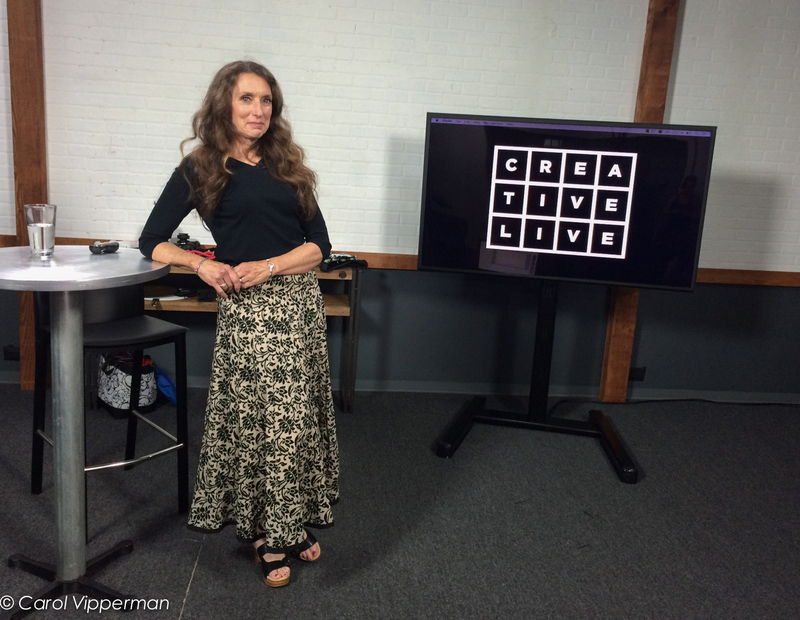 Kathleen’s Creative Live course is going live this week for purchase, but I thought I would share some of what I learned here in this post. #1. What do you want from your photo? We all have different tastes. Some like blur in their photos, others want the flower to be tack sharp with everything in focus, while many of us like more bokeh. Knowing what you want and knowing your equipment is very important. She urged us to learn our gear – what is the minimum focus distance of each lens, so you can know how close you can get to the shot. Interestingly she uses a 180 mm telephoto lens (because you cannot always get close to the flower), as well as a variety of lenses from Lensbaby. 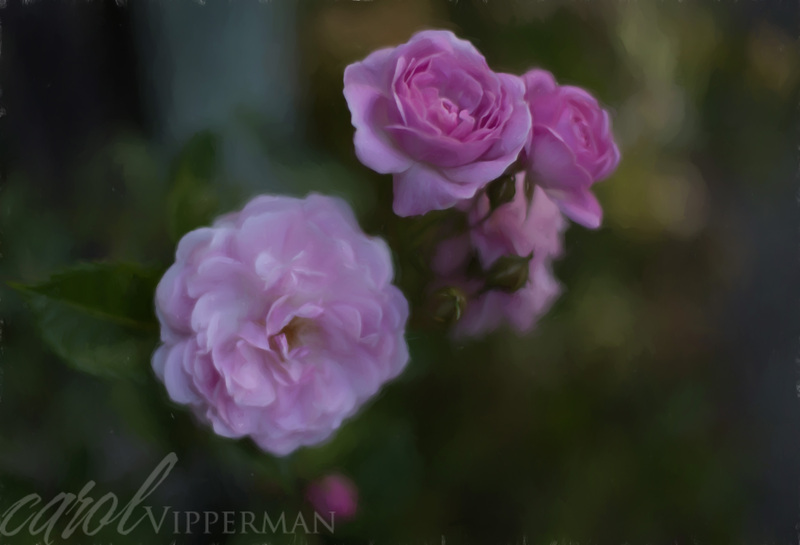 As a result of this workshop I purchased a Lensbaby Velvet 56 mm, a terrific portrait and macro lens. 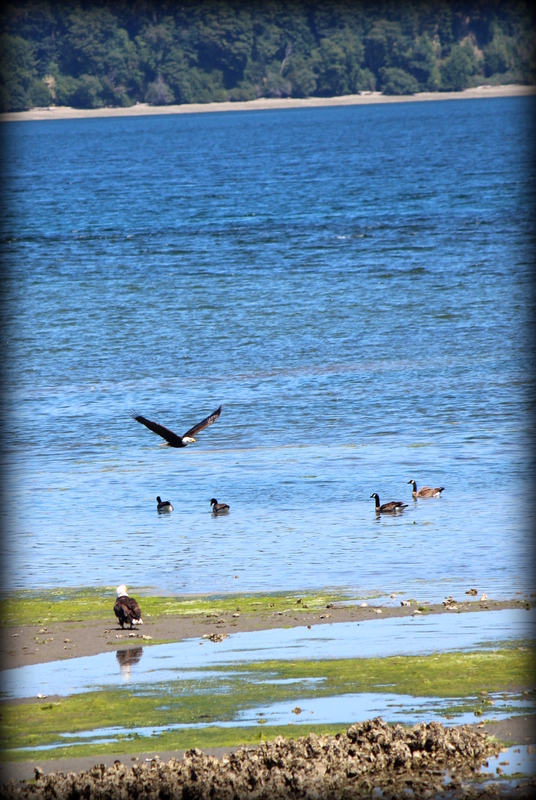 The photo below was one I captured the first day out walking. You can see that there is a good amount of bokeh and blur, which I like. #2. Learn to see. 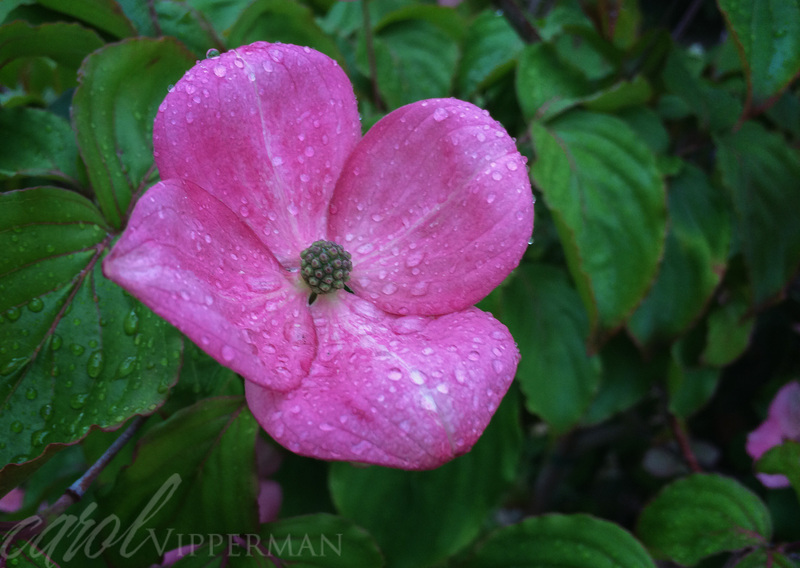 While taking photos of flowers, slow down and look for the things that make the flower different. 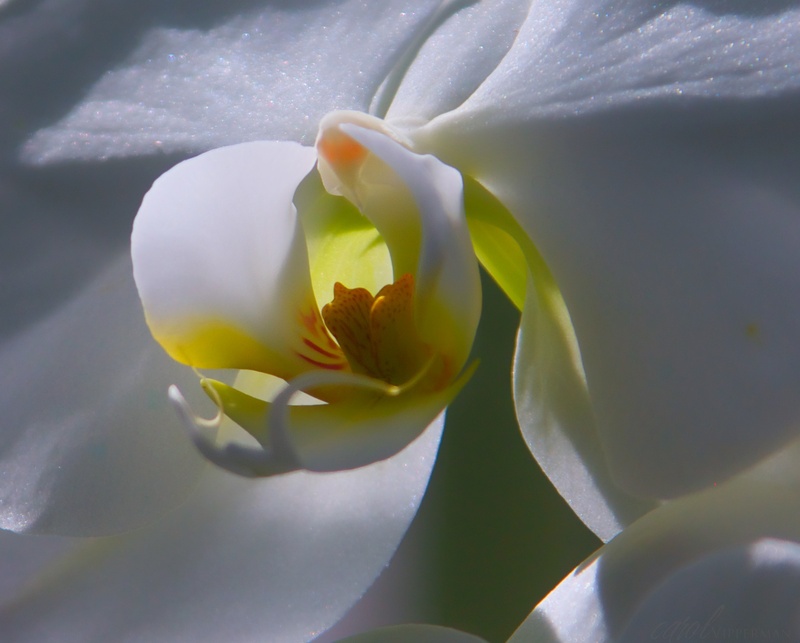 Notice what captures your eye, what captures the essence of the flower. 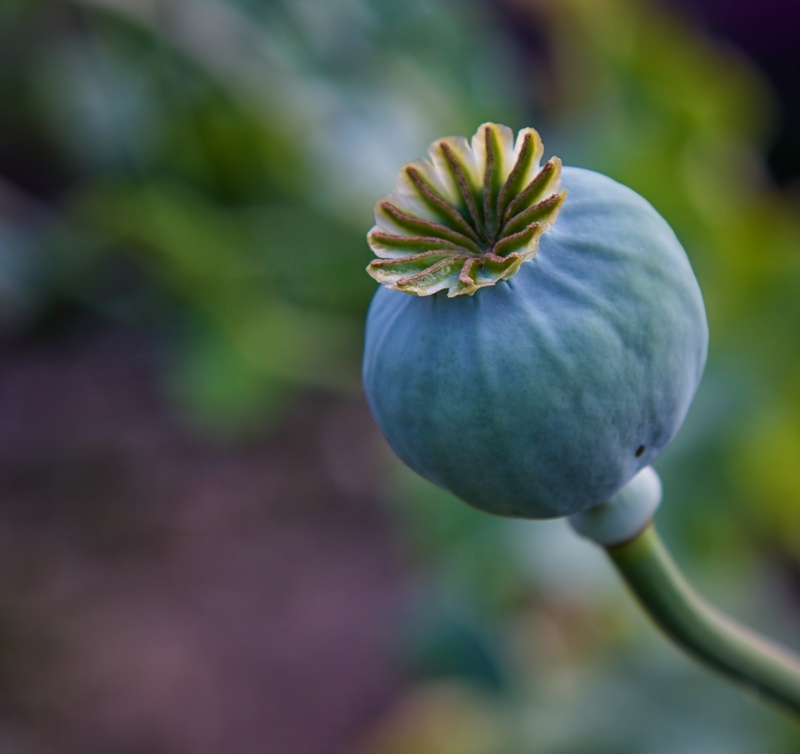 Just like with any subject, we need to look at the flower from many directions. 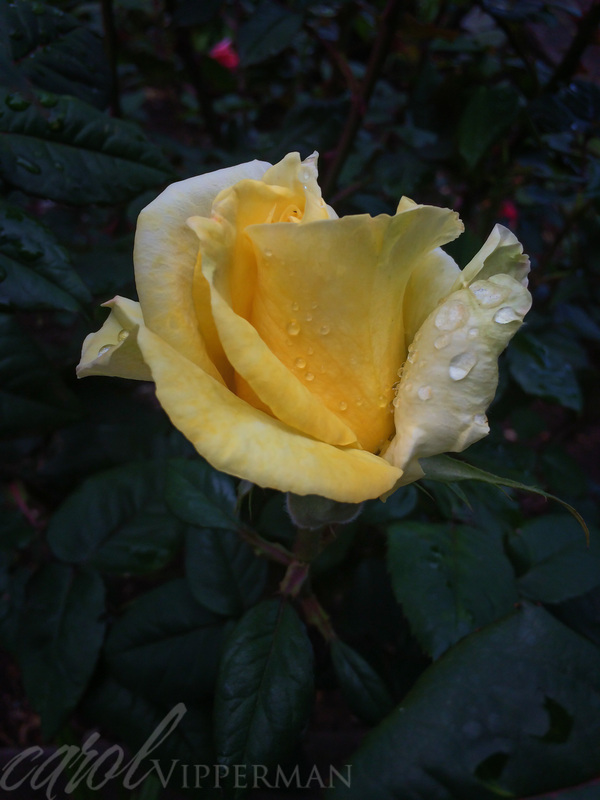 In the photo below the color and the two main petals jumped out at me. # 3. Take flower portraits. Flowers are like people – they have their own personalities if you look for them. 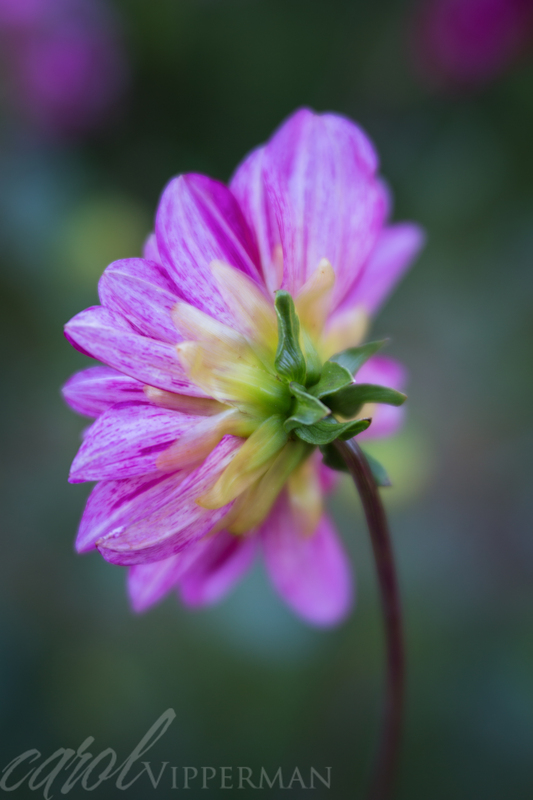 Focus on shooting single flowers, like the one below. 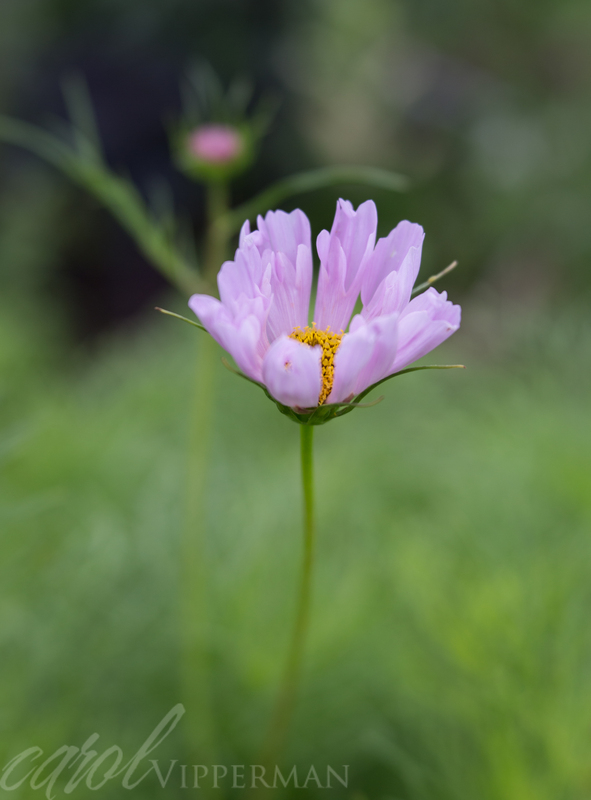 I love the focus on the flower with the muted colors in the background. #5. Go black and white when color isn’t the focus. 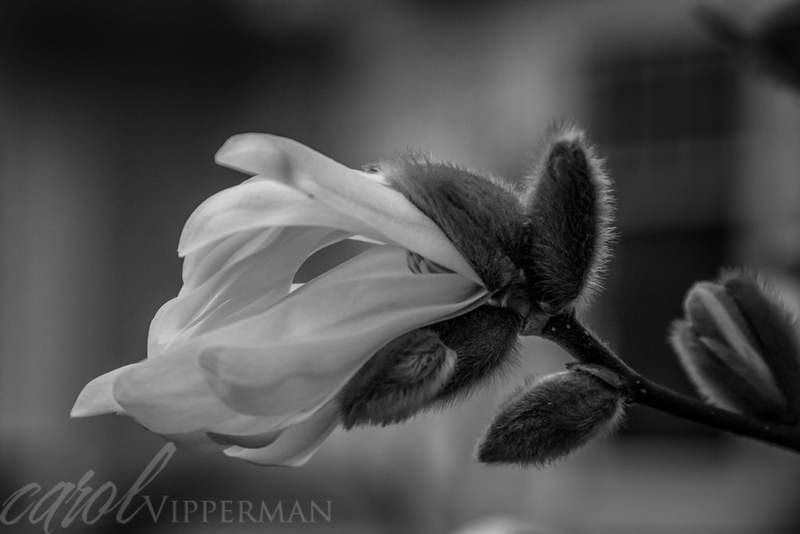 I always think of flowers as being best in color, but after seeing some of the examples of flowers in black and white at the workshop, it changed my mind. #6. Look for the curves. 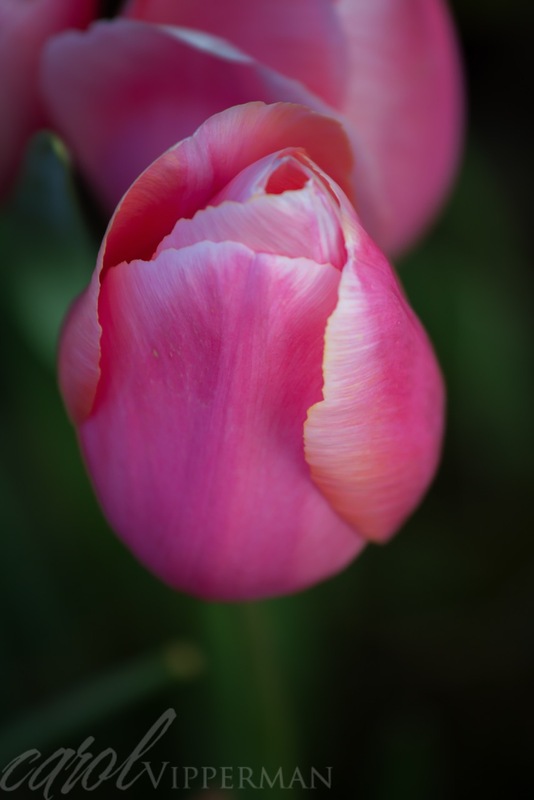 This is Kathleen’s favorite aspect of the flower – the curves. She has many beautiful examples in the course, so take a look. I found one that I took a few years ago, so I thought I would share it. Kathleen had many great tips, but one that especially resonated with me was “sing your own song.” We all have different tastes and ways of seeing, and the photos we take share our “song” with the world. So join me and grab your camera and go out Camera Walking. 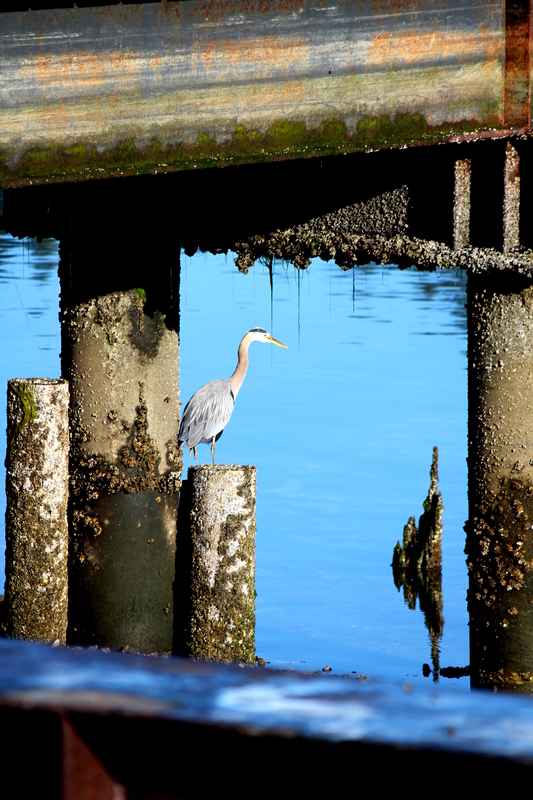 A great way to spend the day out CameraWalking is to hop on the ferry from downtown Seattle, as a walk-on passenger, and walk all over Winslow…the charming community right at the ferry dock. 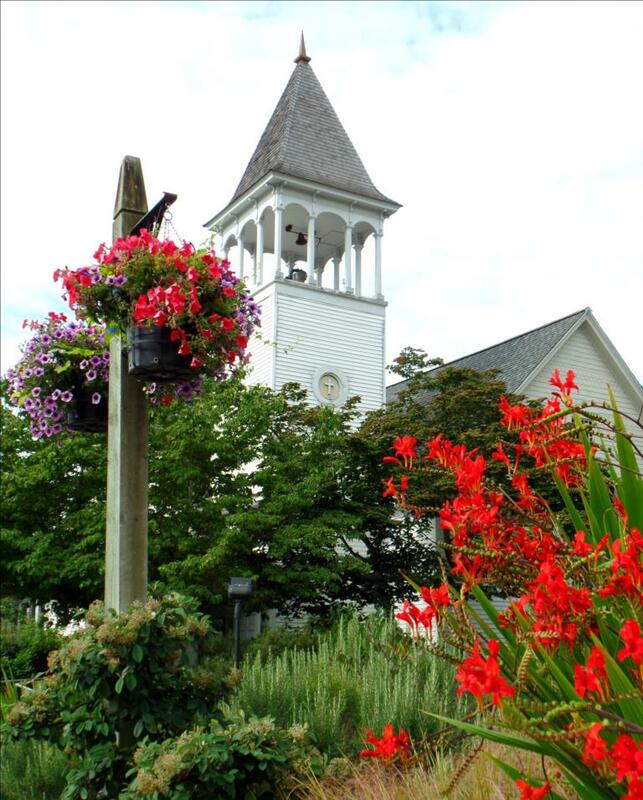 You can find lots of information about Bainbridge Island sites, history, shops, and restaurants by checking out the information about the area before you head out on your adventure. 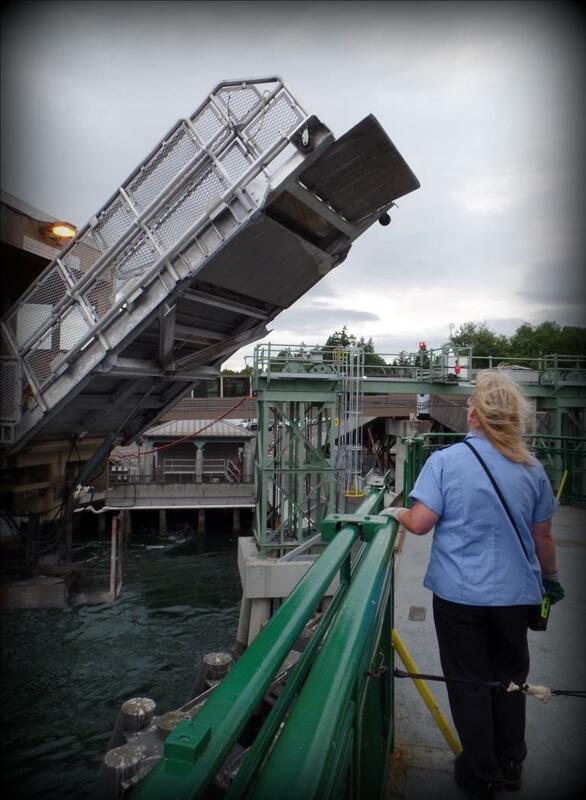 You can get some great shots of the ferry coming in or out of the dock, with water churning and the massive structure that safely allows these large vessels to make their port of call. 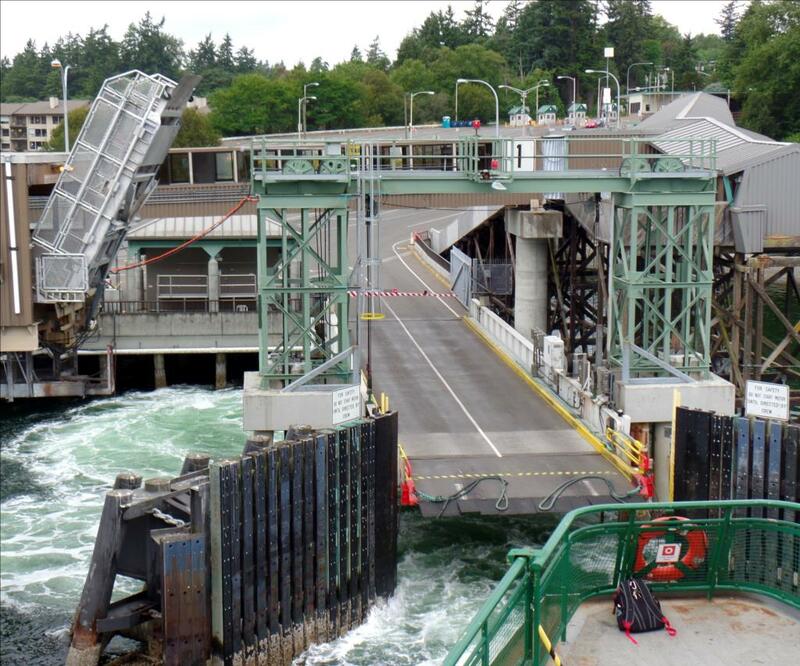 These two links will enable you to learn about the Washington State Ferry System and also check out the schedules to Bainbridge. 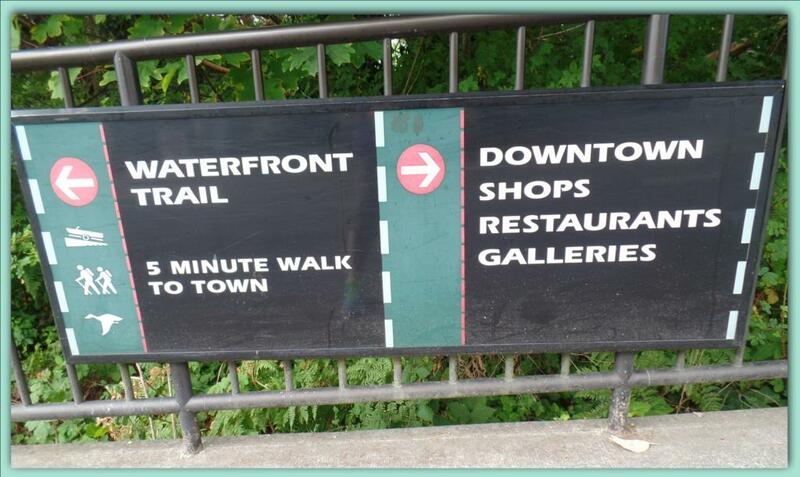 When you walk off the boat, follow the signs into Winslow (Downtown). 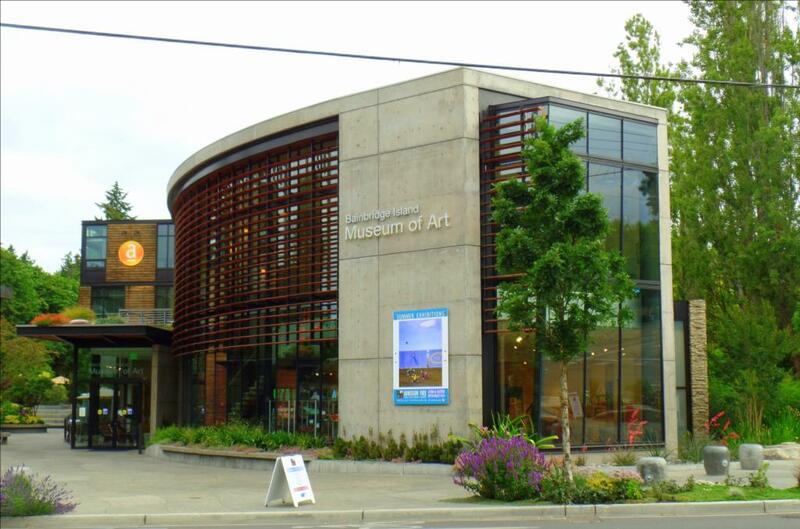 If you have an interest in regional art, you may want to stop off at the Bainbridge Island Art Museum. 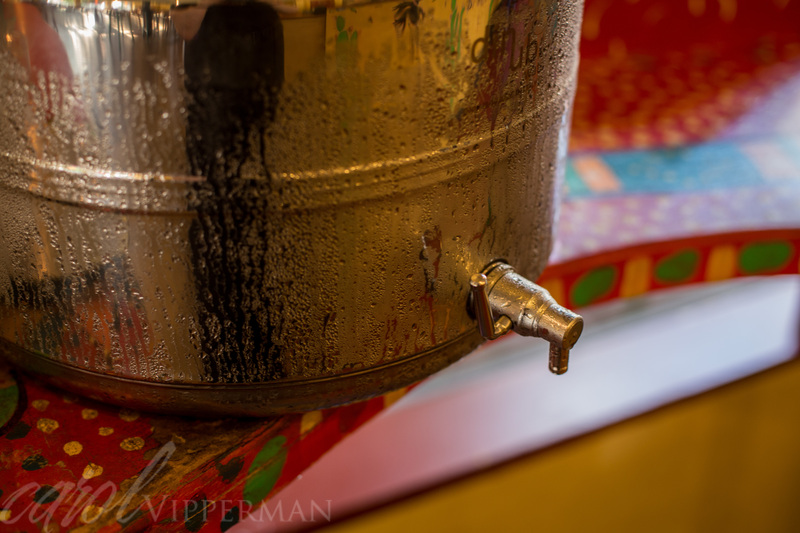 As you continue along Winslow Way, there are so many fun shops and lots of images that are great to photograph. . The great thing about exploring commercial areas with your camera is you can capture the character of the community through the street art, the shop signs, and the colors of the community. We wandered along Winslow Way having a great time finding small “mini-scenes”. Turning down towards the water, we fell in love with the very cleaver statues made of rocks. 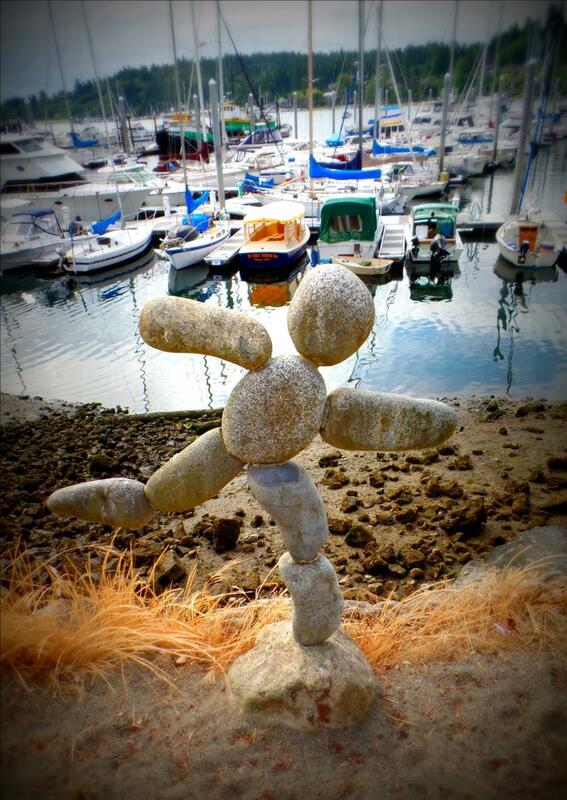 The dancing rock boy is a fun creation by a local artist! 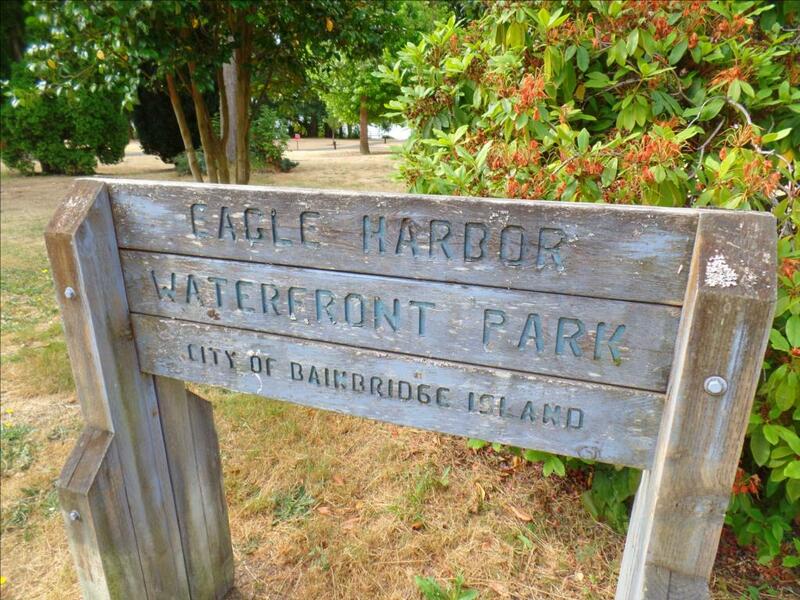 There is a wonderful boardwalk along Eagle Harbor that ties into pathways through the Eagle Harbor Waterfront park. 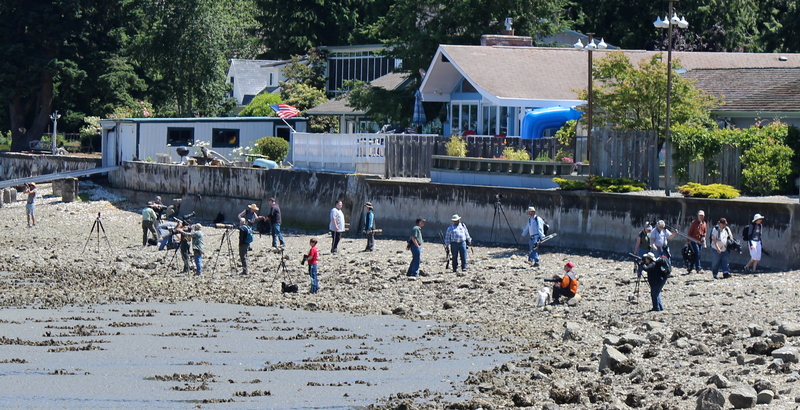 This is a very natural trail right on the edge of the commercial district…absolutely charming and full of great shots of the waterfront activities. To make your way back to the ferry, just follow the trail to the Waterfront Park Bridge that will take you fairly close to the ferry terminal. 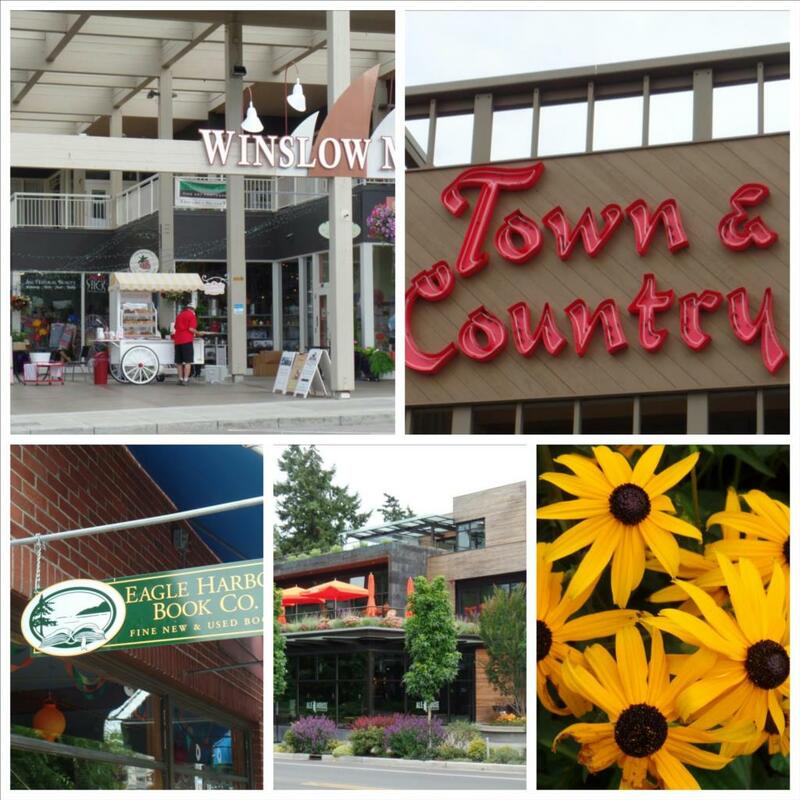 You can really make a day of visiting this wonderful town just 30 minutes from downtown Seattle. 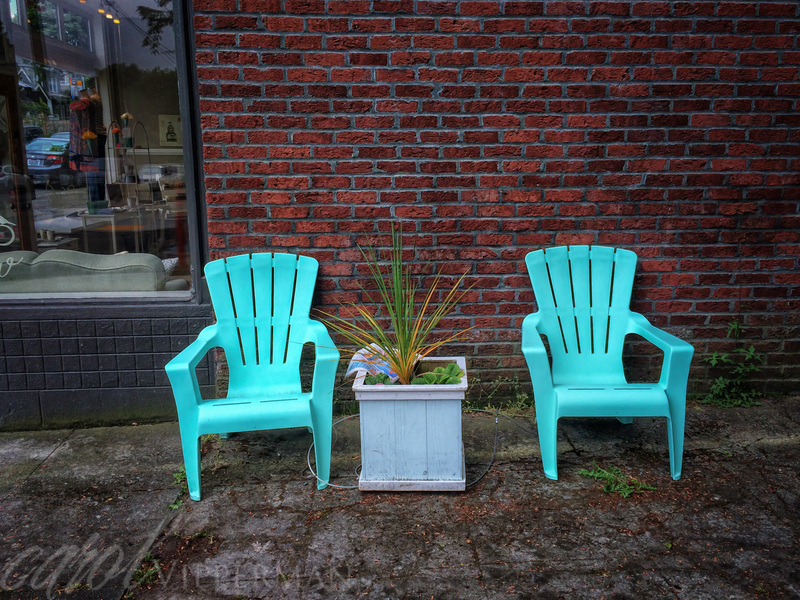 Along with taking lots of photos, you really need to take some time to browse the shops, have lunch in one of the many charming restaurants or tasty delis, and end your day with a beautiful ferry ride back to Seattle. So, say farewell, and head back to city…just remember to come back again! The Island awaits you! Keep up your daily walks! As we approach the first of July the temperatures are rising. 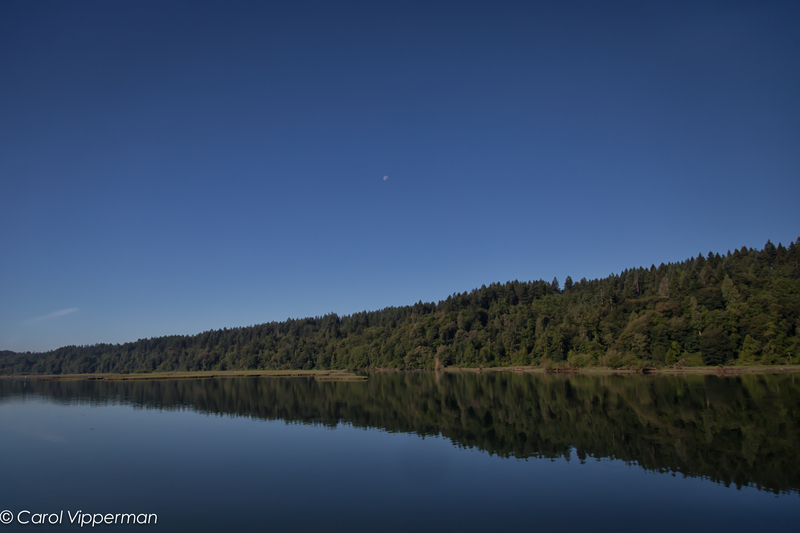 Here in the Pacific Northwest we began to see unusual 90 degree weather in June with a forecast for more of the same. I must admit going out Camera Walking on a hot day is not very appealing, so I searched for some practical tips on how to best deal with the heat while out walking. Tip #1: Become an early bird or night owl. Go out walking when the temperatures are cooler. The good news is that both early morning and later in the evening are perfect times for taking photos. I prefer the morning for my walks, and now that the sun comes out earlier it is easier to get up and out the door. Tip #2: Select a route that includes shade. Walking in direct sun can make the temperature feel like it is up to 15 degrees hotter. 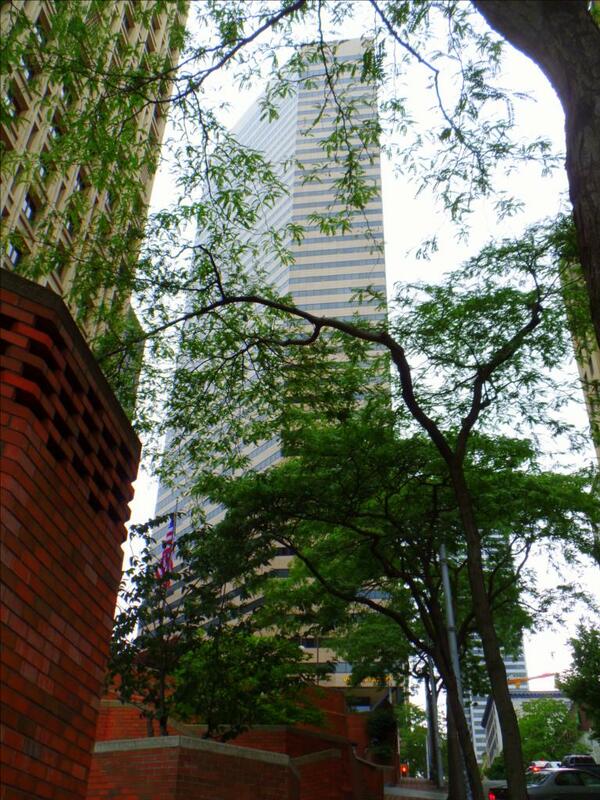 Try to avoid concrete (a bit challenging in the city), and look for natural surfaces, usually those under trees are the coolest. The mosquitos like these places, so be sure to use inset repellent as well as sunscreen. Tip #3: Get acclimated. It is tempting to do your regular routine, which might mean hitting the ground at a fast pace. When it is hot it is better to start out slower and then increase as you go. Take it easy – lower your intensity to ensure that you can go farther. Tip #4: Keep hydrated. We need more water when we are working out in the heat. Drink water before you start, and bring a water bottle with you, so that you can consume 6-8 oz every 15 minutes throughout your walk. A great tip that I discovered while researching this blog is to “ice your thirst.” Freeze half a water bottle then top it off just before you leave. Your water will be cold throughout the walk. Some people use hydration back packs, especially if going on a long walk. Tip #5: Wear the right clothing. Wear loose clothing, preferably light-colored, to reflect the sun, a hat, and wicking shoes and socks. 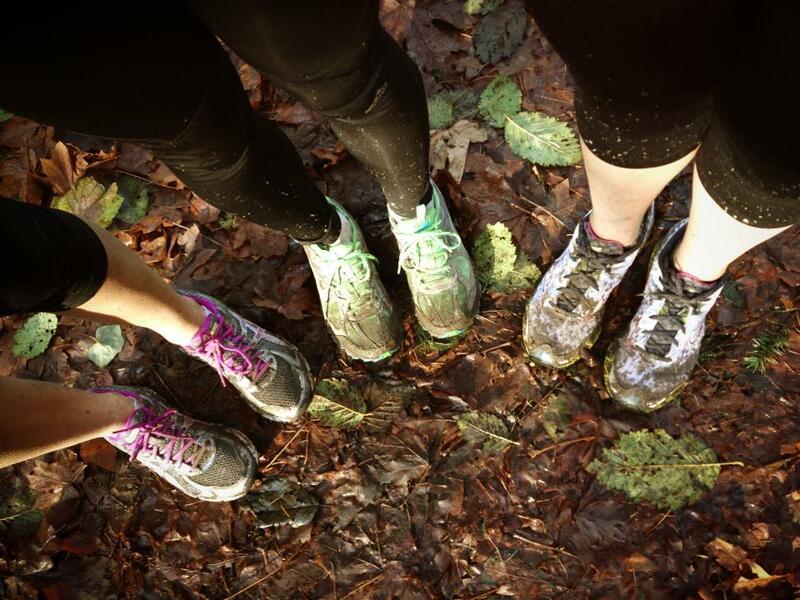 Sweat evaporates more easily when limbs are bare, so expose your skin – just remember sunscreen. Tip #6: Listen to your body. 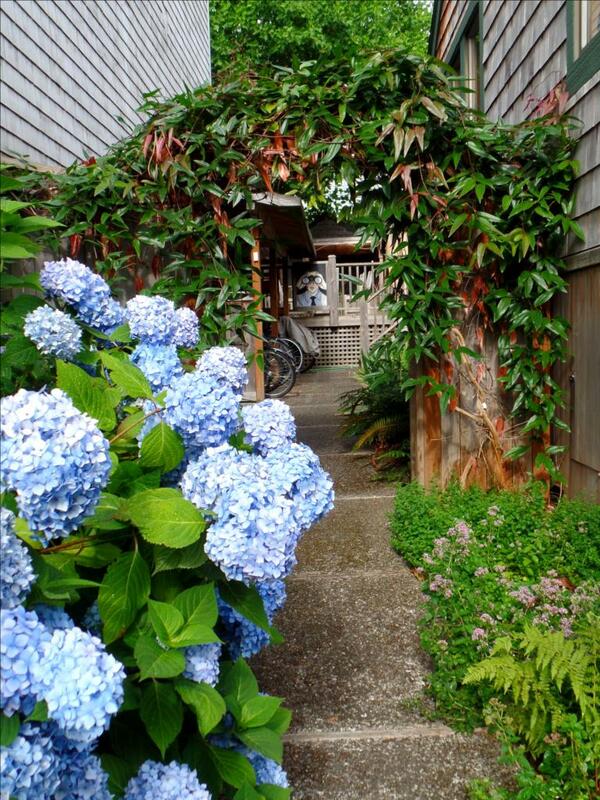 If you start to feel dizzy or tired, slow down, find some shade, and drink some water. If you don’t feel better get help. I always carry my driver’s license, credit card, medical insurance card, and some money when I am out walking in case I need to get a cab, or medical assistance. It also comes in handy to get a latte at the end of the walk. Tip #7: Protect your camera gear. Heat and humidity can create problems for your gear while out walking. Check your camera’s manual to see what temperatures your camera can withstand. Although I don’t always do this while out walking, others suggest that it is best to leave the lens cap on when you aren’t using the camera. If you drive to a location for the walk, or plan on leaving your camera in the car while you grab a latte, be sure to place your camera in the trunk or under the seat. 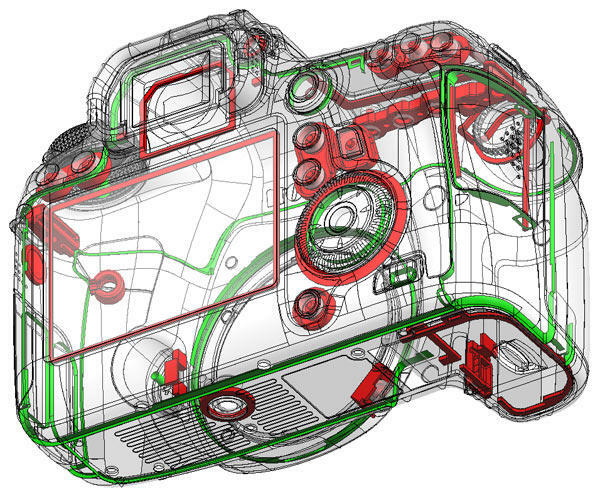 Finally, allow the camera to cool down slowly (or warm up in cold temperatures), so that mechanical parts inside the body or lens are not damaged. 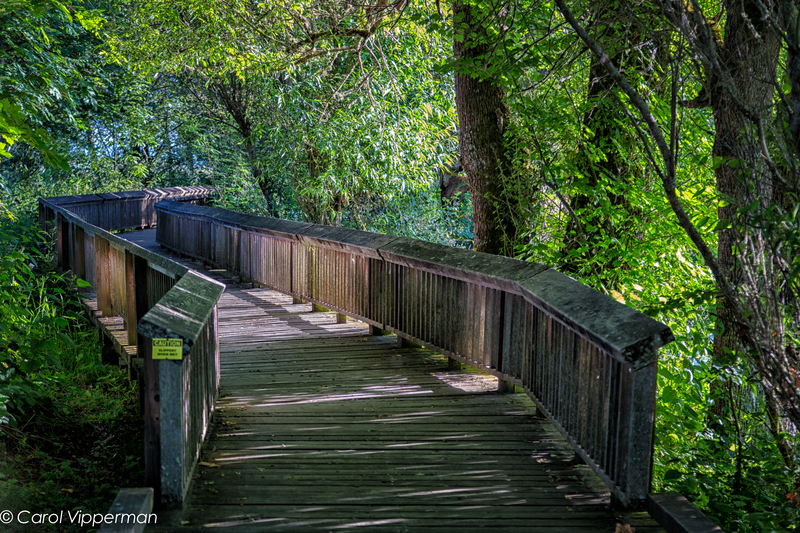 Hot summer weather doesn’t need to deter you from getting out Camera Walking. Taking time to plan your walk, using some of these tips, will help you maintain your commitment to your daily walks, taking great photos, and staying cool. Share your hot weather tips with us by commenting below, posting on our Facebook page, or send us an email at getmoving@camerawalking.com. 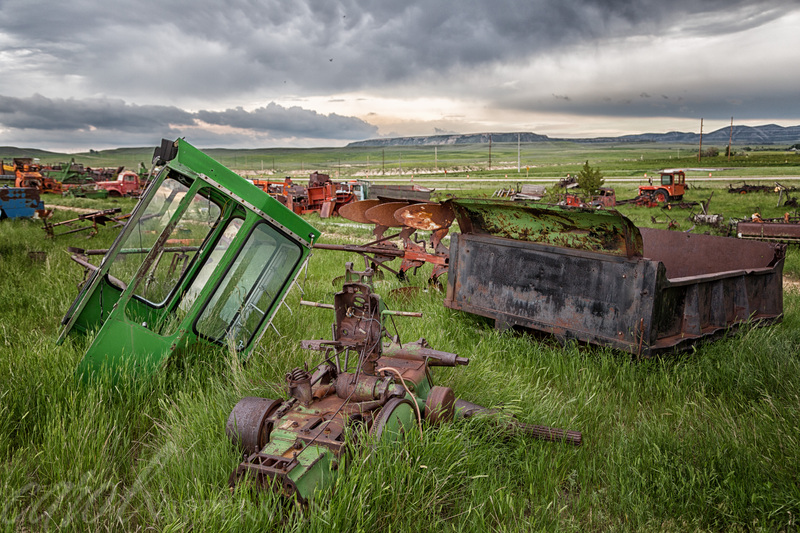 Last week I was in Casper, Wyoming assisting Rick Sammon and Dinty Miller, owner of Wyoming Camera Outfitters, host a six-day workshop. We had a packed schedule with opportunities to take photos of models in a bar and distillery, junk yards, horses, and gorgeous landscapes. Although I didn’t get to take my daily walks, I achieved 10,000 steps a day on most days. I learned quite a bit on this trip, so I thought I would share some tips that could be used while out Camera Walking. Tip # 1: Find and express emotion through your photos; tell the story. We had several opportunities to take photos of people during our trip. 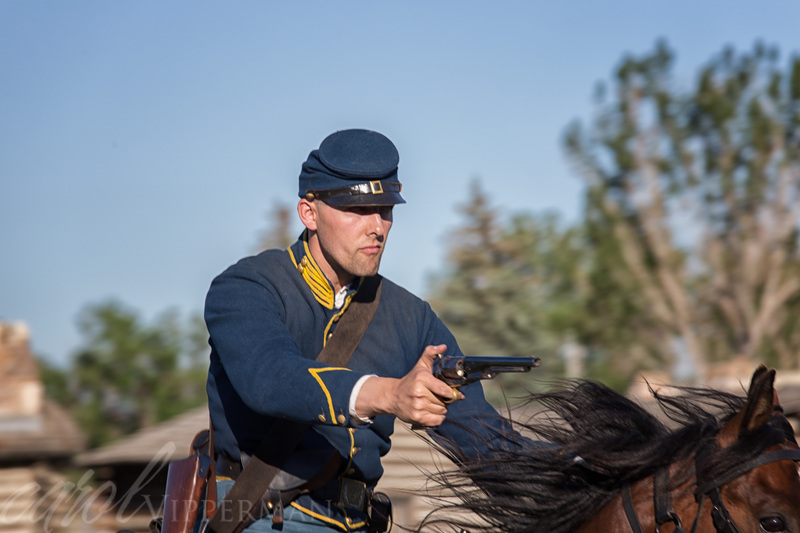 The first evening we took photos of four men who rode horses to re-enact the Calvary at Fort Casper, an important fort along the Oregon Trail. 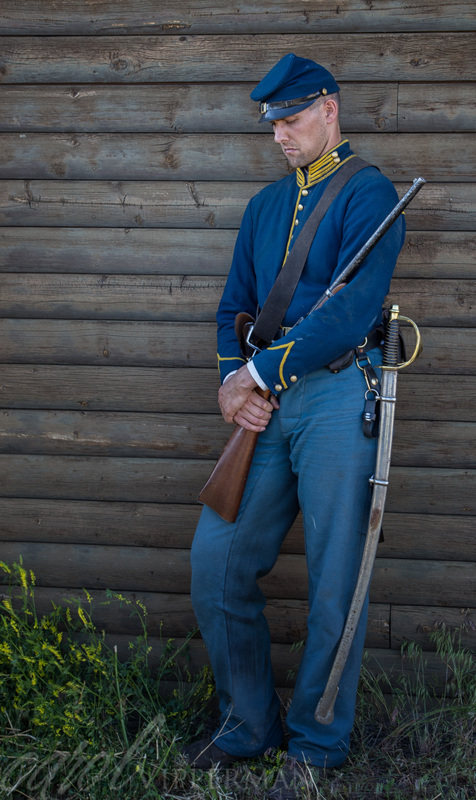 They charged us on their horses, and then allowed us to take portraits. This action shot shows real determination. While one of the soldiers was taking a break from the heat, I was able to capture this shot. His face and hands tell a story, I think. Tip #2: Look for the unusual. The second day we went to the College National Finals Rodeo held annually in Casper. What a treat! I have never been to a rodeo, and the photo opportunities were in abundance. I took a ton of photos with my Canon 70-200mm lens so that I could get a close up of the action. 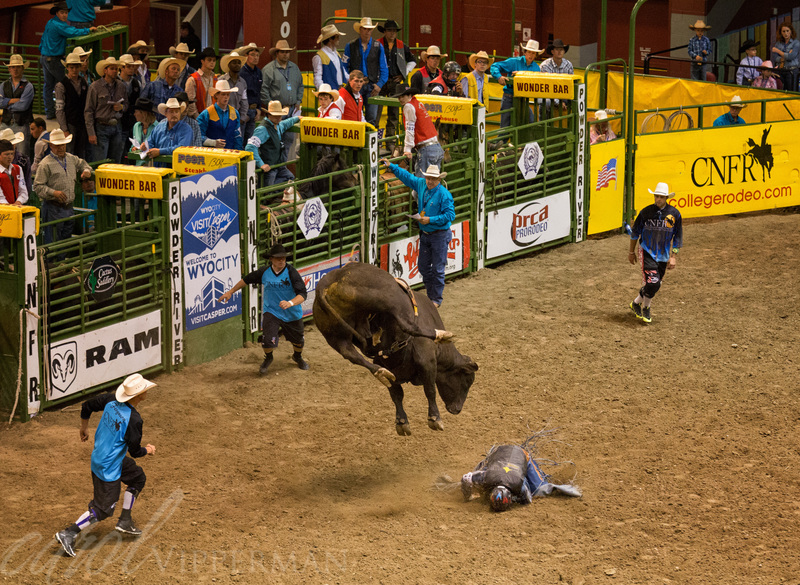 I think that the above photo tells the story of the challenge and danger in riding bulls. I was quite impressed with the skills of the riders and the support team that kept them safe. While I was looking around for other photos I spotted this guy in a cowboy hat. 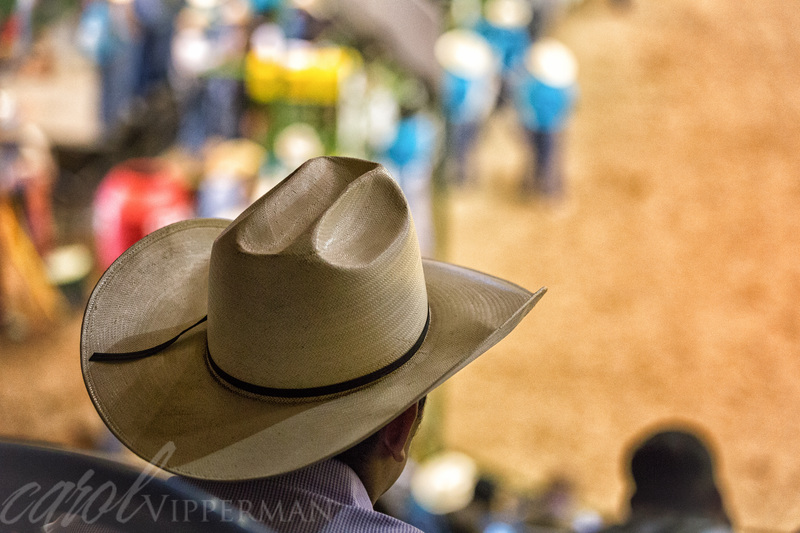 There were hundreds of people there, most with cowboy hats, but I love this shot because it made the rodeo more personal. Tip #3: Look for both the environmental and detail shots. Rick encouraged us to take both shots to tell the story. 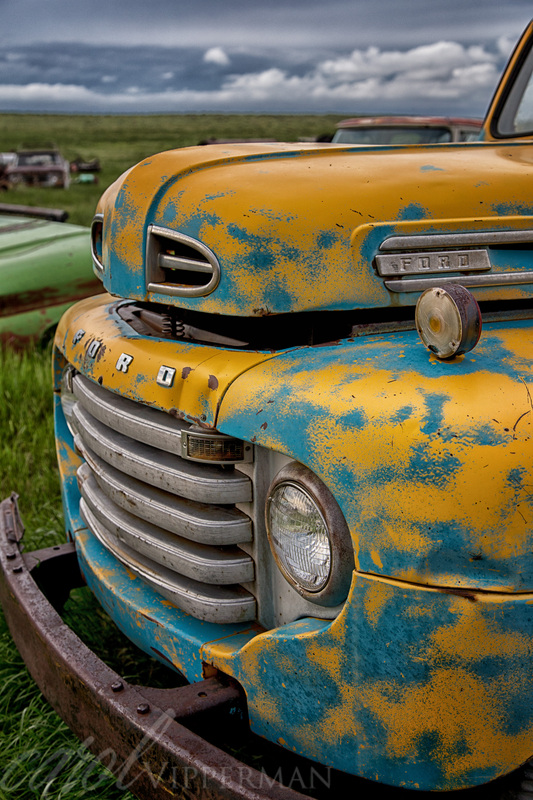 Our trip to a junk yard really brought that home. Tip #4: Find a picture within a picture. This was a fun discovery – finding other pictures within one shot. One day we went to the Backwards Distillery and had fun taking photos of models. 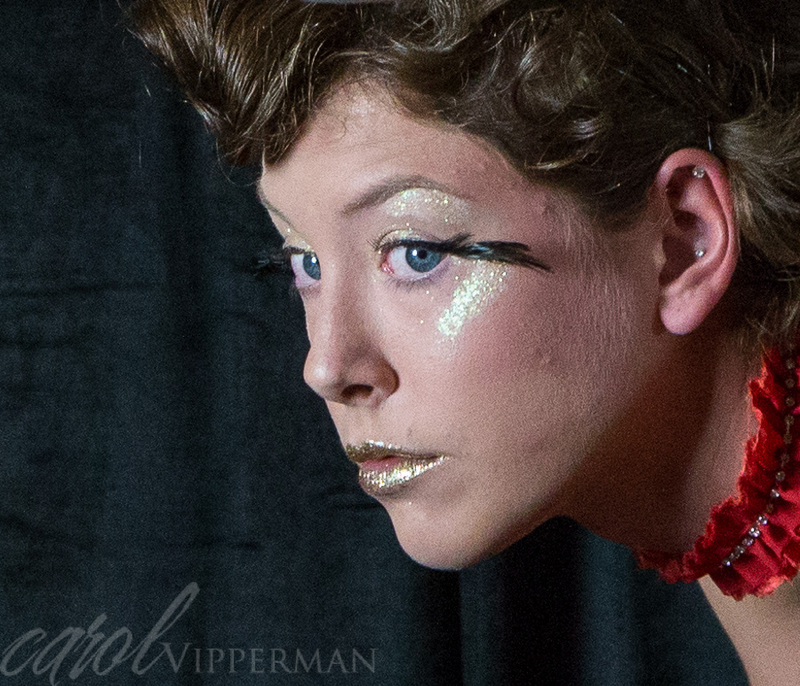 The distillery bottles have a circus theme, so the models embraced this in their costumes. Now here is the picture within – look at the beautiful catch light in her eyes. 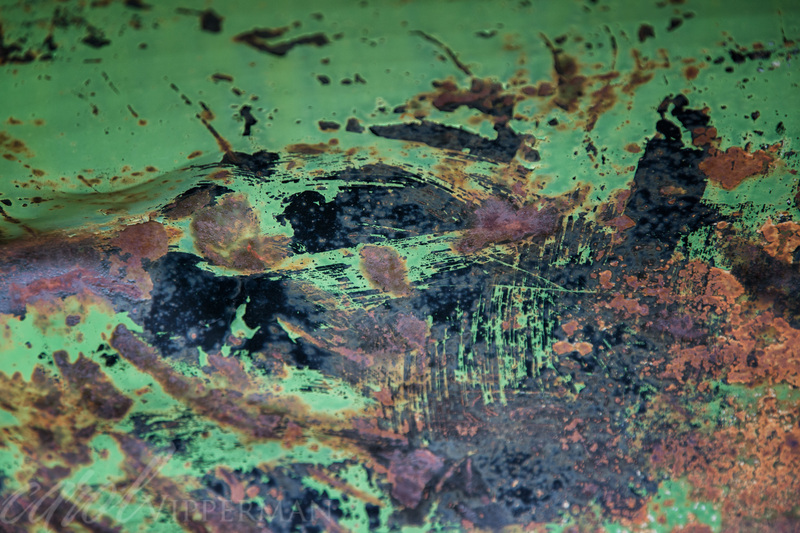 Another example of this came from one of our shots in the Fremont Canyon. 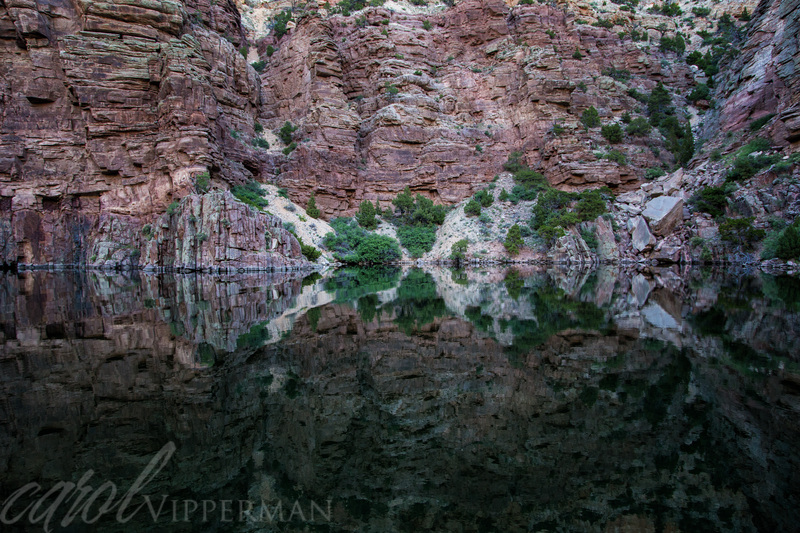 I took this photo of the canyon reflection during an early morning ride down the river. It was only when we were in our last editing session, when Rick rotated the photo, that I saw the other picture. To me it looks like a woman sitting on a rock with a head-dress on. If you rotate it the other direction it looks completely different. This has opened my eyes to look more closely at my photos to see the other pictures within the shot. Tip #5: Be prepared for all kinds of weather. 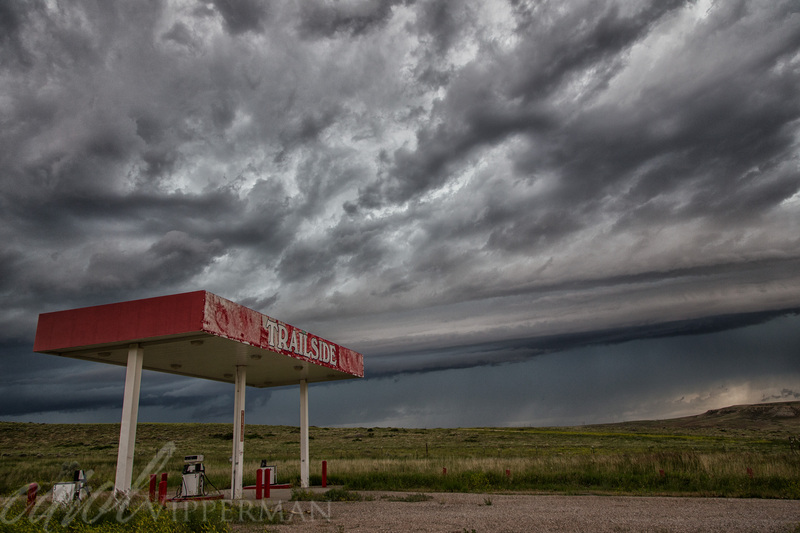 The weather in Casper was warm, but we experienced a storm with hail the size of small golf balls and a tornado warning. The worst though was enduring the mosquitos that swarmed the ranch during our final shot. I didn’t have bug spray, but fortunately the ranchers did and they were willing to share. 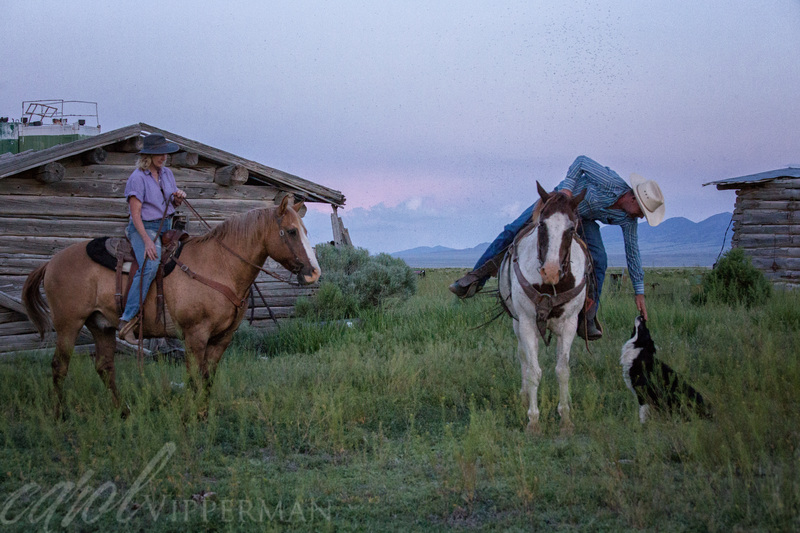 The photo below tells a wonderful story of ranch life, and if you look very closely you will see the swarm of mosquitos that surrounded us that evening. The final thought I will leave you with is one that Rick emphasized throughout the workshop: photography is 50% capturing the shot and 50% processing the photo. I was reinforced in my commitment to improve my composition and technical photography skills, as well as to continue enhancing my processing skills using Lightroom, Photoshop, and the many plugins I use. I think all of these tips will help me take and process better photos from my walks. I hope you find them useful as well. 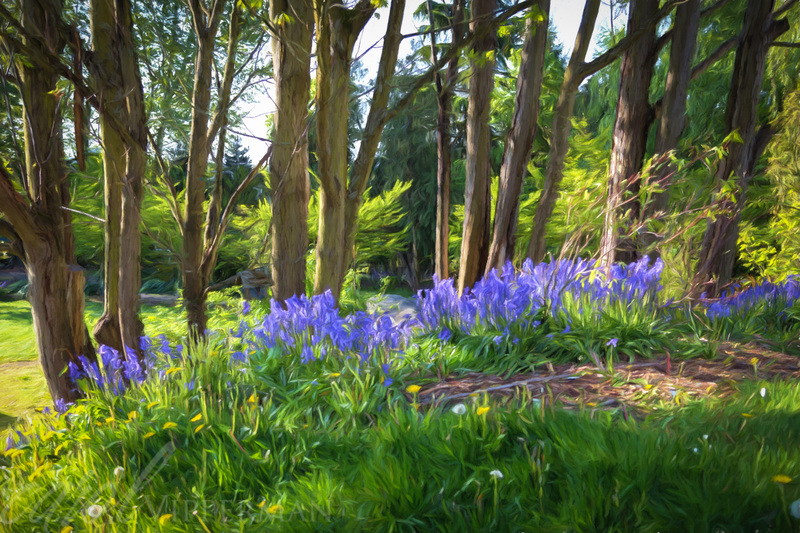 If you are interested, take a look at Rick Sammon’s blog post about our workshop. Let us know what questions you have or share your tips with us by commenting below, posting on our Facebook page, or send us an email at getmoving@camerawalking.com. 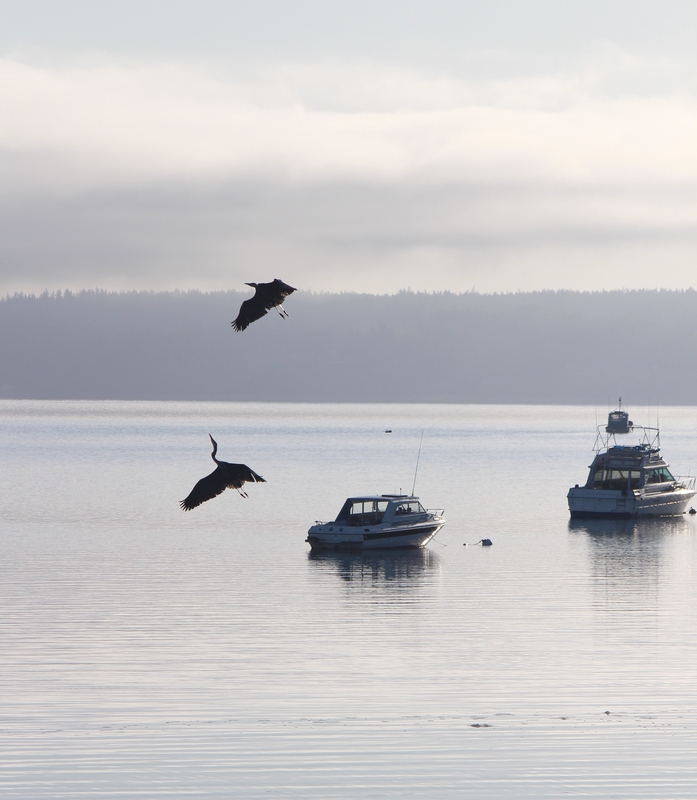 The beauty of the Pacific Northwest can be captured at all times of the day…but getting up early for a walk at low tide on Hood Canal allows photographers to catch some incredible shots. Laurel Arwine is a great friend and participant in CameraWalking. 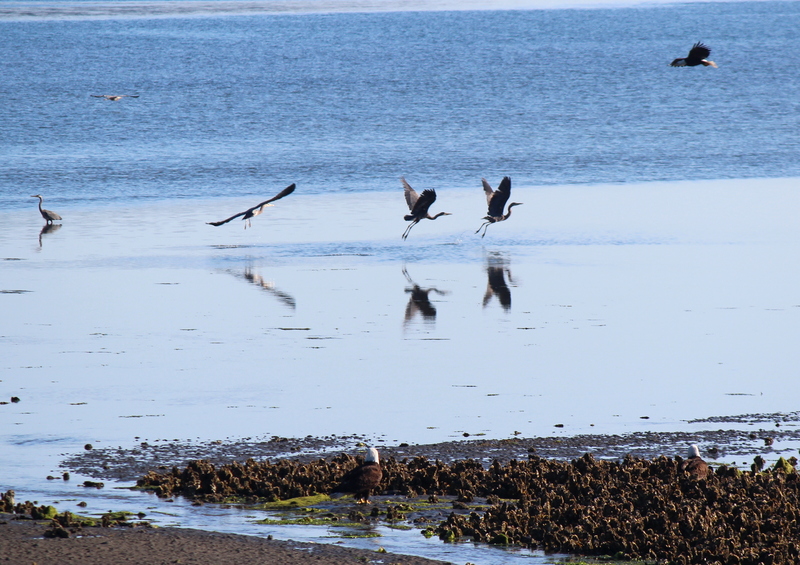 She got up with the sun to walk the beach and captured some wonderful photos of the eagles and the cranes. 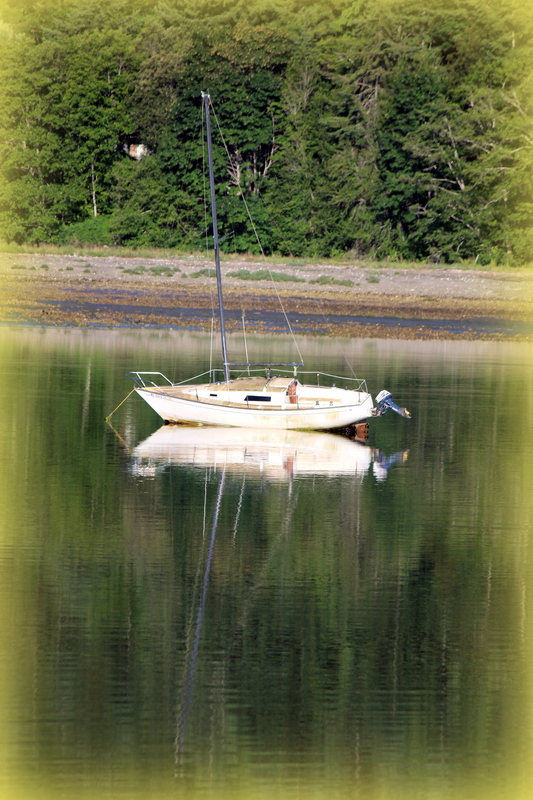 The peace in Seabeck Bay was lovely with the boats silently at anchor while the cranes began their day of fishing. 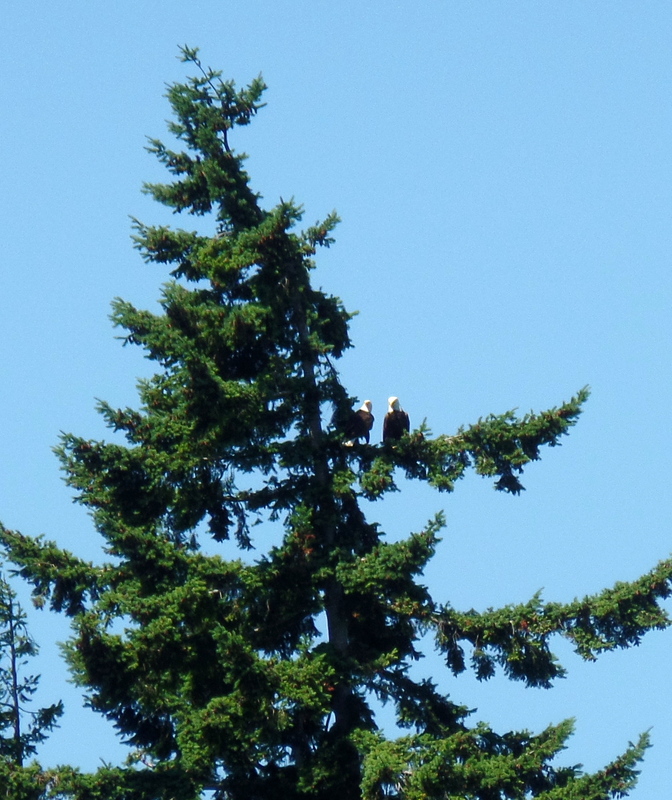 … and spend their days in the branches of the tall evergreen trees, watching over their world. 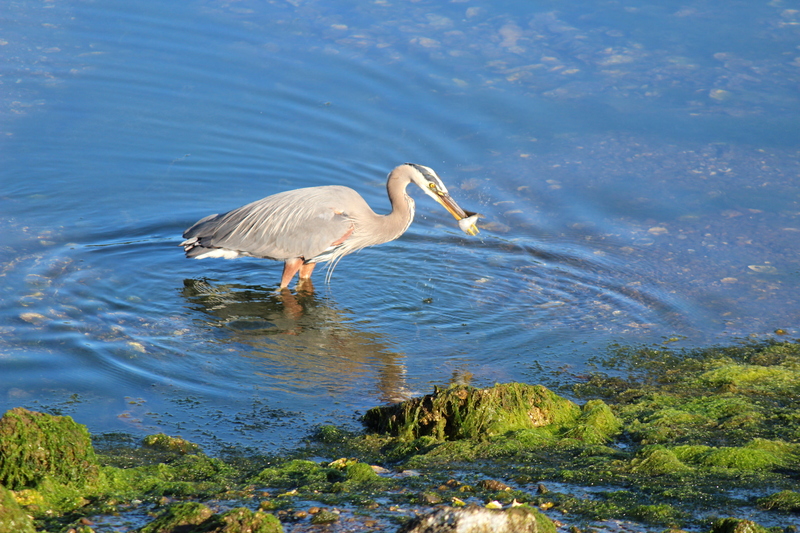 The cranes move so slowly and can stand for hours to find just the right tasty morsel. 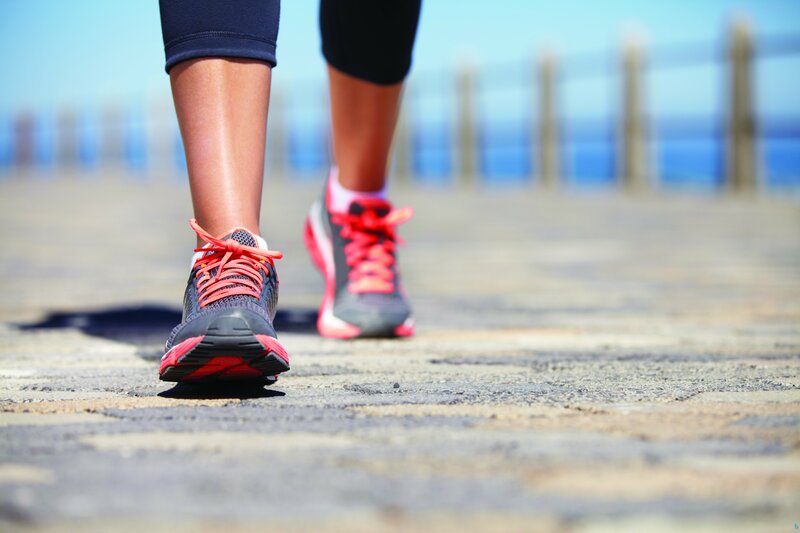 Walking early can give your day a peaceful start before you move into the hectic hours ahead. What a joy to see nature awakening! 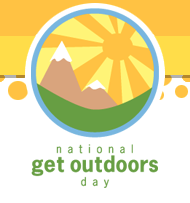 Did you know that Saturday, June 13th is National Get Outdoors Day? 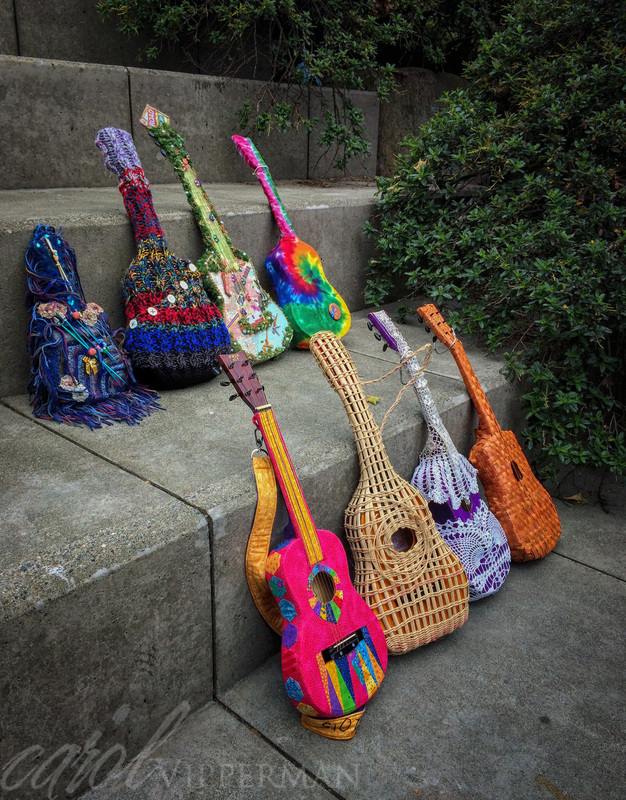 U.S. federal agencies, nonprofits, and the recreation industry host this annual event to encourage families to get out and experience traditional and non-traditional types of outdoor activities. This is a great way to get outdoors, explore state and national parks, and to take fun photos. 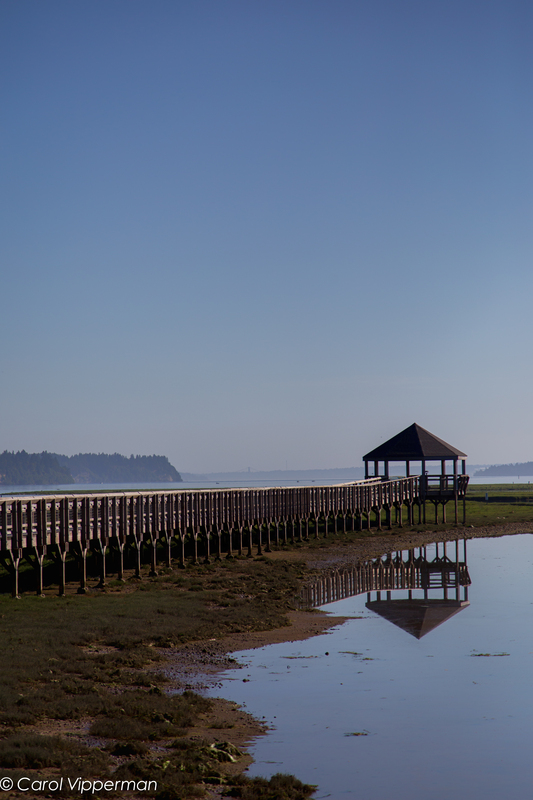 We decided to explore one of our local national parks, the Nisqually National Wildlife Refuge, this weekend. 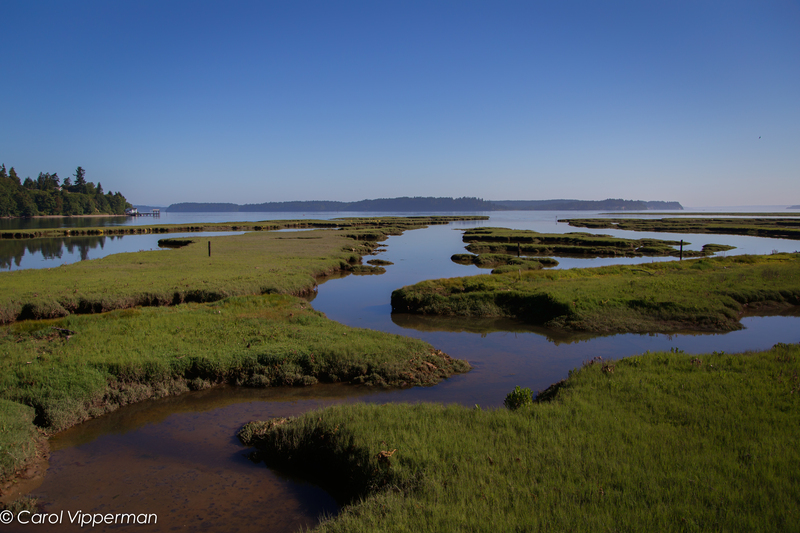 The freshwater of the Nisqually River combines with the saltwater of Puget Sound at the Refuge and supports a whole array of sea life. 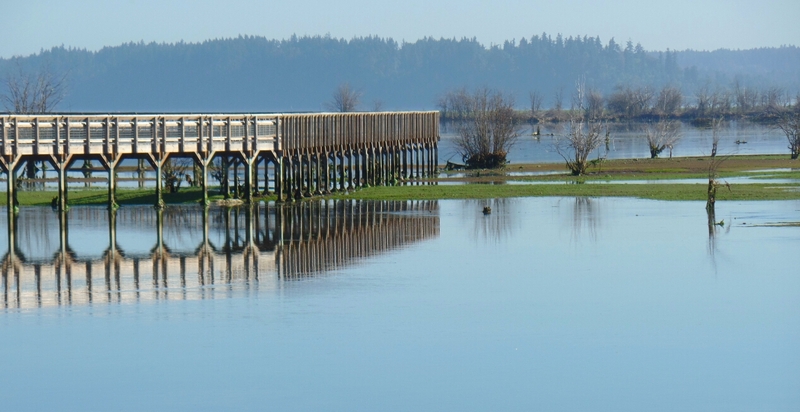 Located just a few minutes off of I-5 near Olympia, Washington, the Refuge gave us a great Camera Walking experience, and a chance to learn more about our habitat. 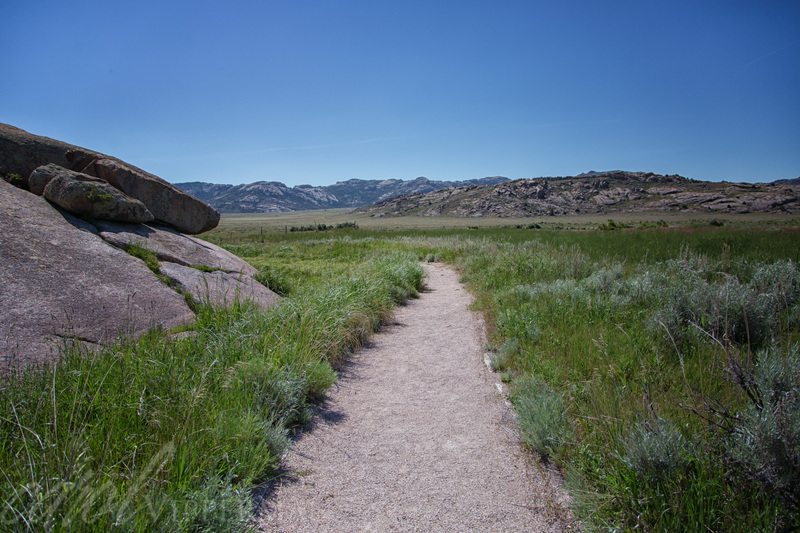 The Refuge has four miles of trails that wind throughout, providing views of a variety of habitats. Several observation platforms are located along the way to give the best view. 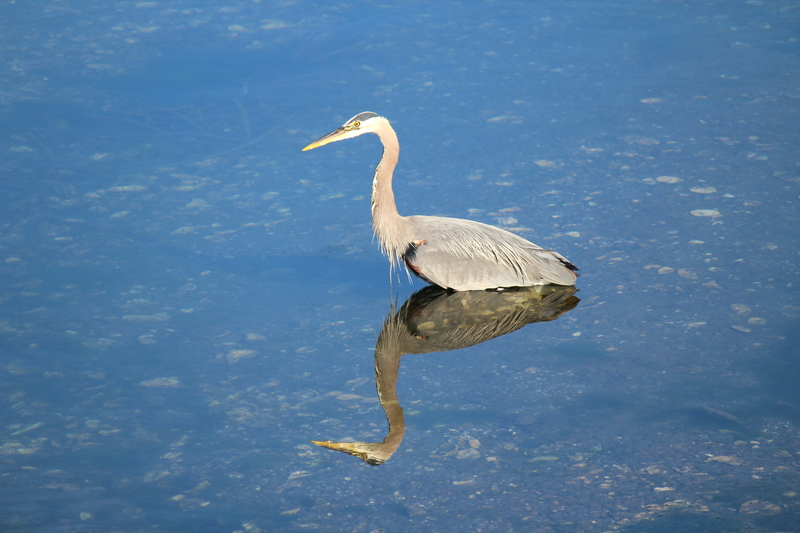 In addition to wide landscapes, visitors can view freshwater wetland wildlife. 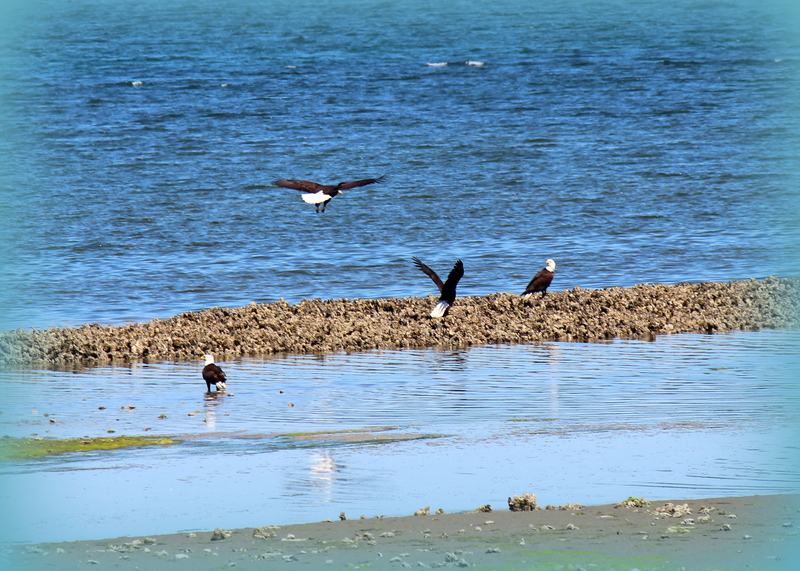 And to view beautiful estuaries that are visible in low tide. We enjoyed the reflections during this hot sunny morning. 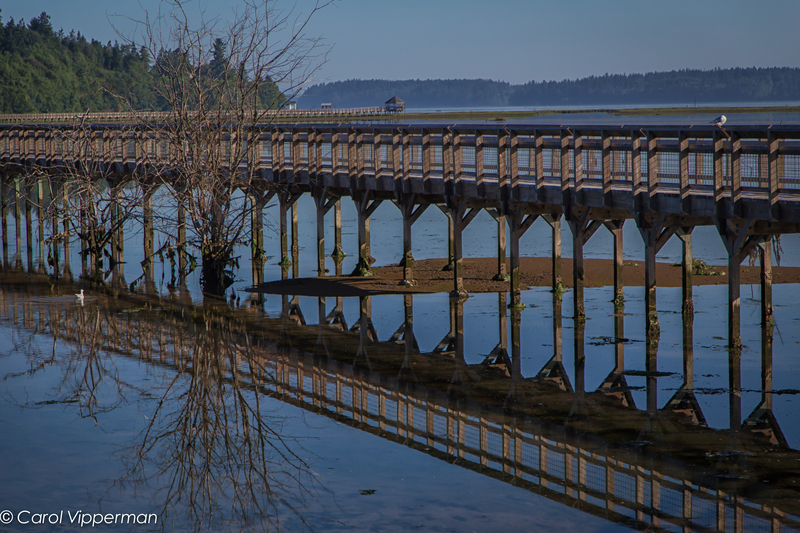 Our walk along the boardwalk over the tidelands gave us a wonderful opportunity to see the morning reflections on the incoming tide, the birds, the views, and we walked five miles! All and all it was a great morning. 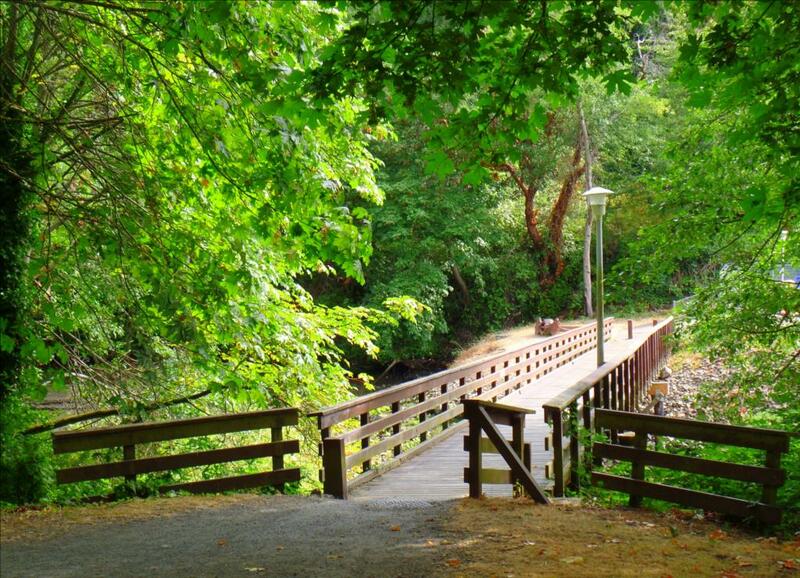 Take advantage of this upcoming celebration of “Go Day” and get out and enjoy our parks. Remember, bring your camera along to make it a Camera Walking experience to achieve better health, fitness, and creativity! One of the things I love about my friends is that they occasionally send me articles that focus on walking, fitness, and health. The other day my friend Lorraine sent me a link comparing smartphone fitness trackers. The first two caught my attention. 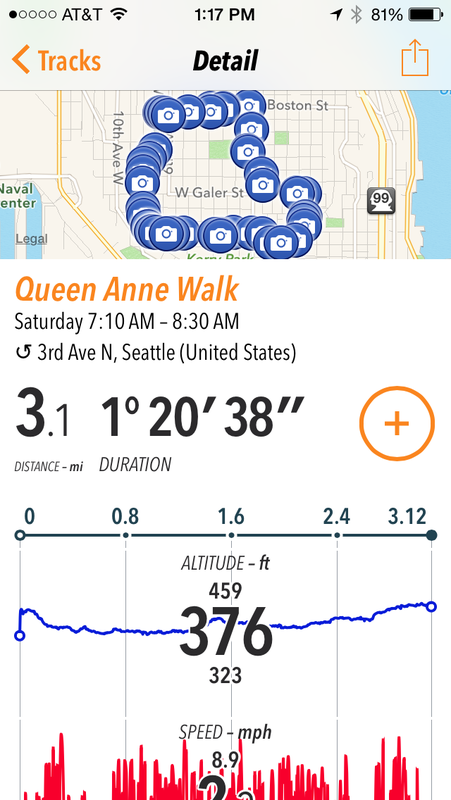 I could take photos, while mapping my walk, and then share them via Facebook, email, and other sites! This is something that we at CameraWalking have been looking for – finding an app that allows us to capture photos along the stops we make while walking, and then be able to share them. I decided to try Trails first, a free app available for IOS and Android phones. 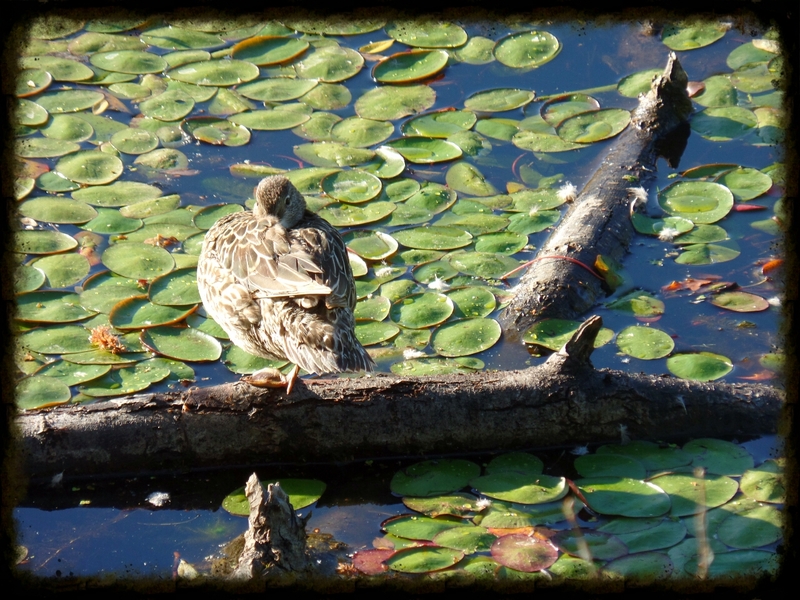 It is very intuitive and I found it easy to take photos after a few tries on the in-app photo capture button. While I was clicking away, my stats were there to let me know that I wasn’t walking as fast as I thought, so I picked up my pace. I also saw that I hadn’t walked as far as I had planned, so I added more streets to the route to get to a minimum of 3 miles. 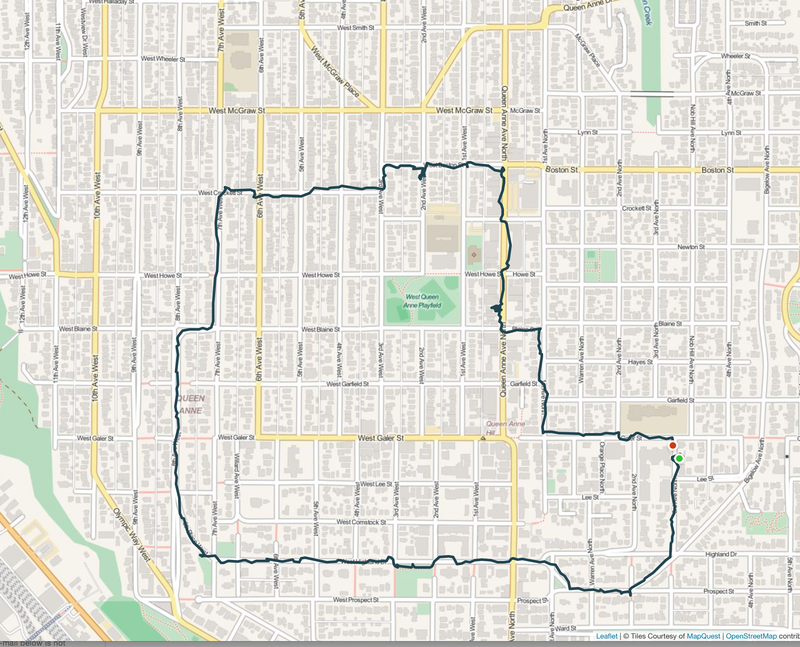 I was excited to return and share my walk, but I discovered that I could only export my walking route without the photos. Unless I am missing something, which is possible, it seems like the photos are only saved to look at, but not share. Well okay, it still was fun to use, so I decided to export the photos to my desktop from my phone. 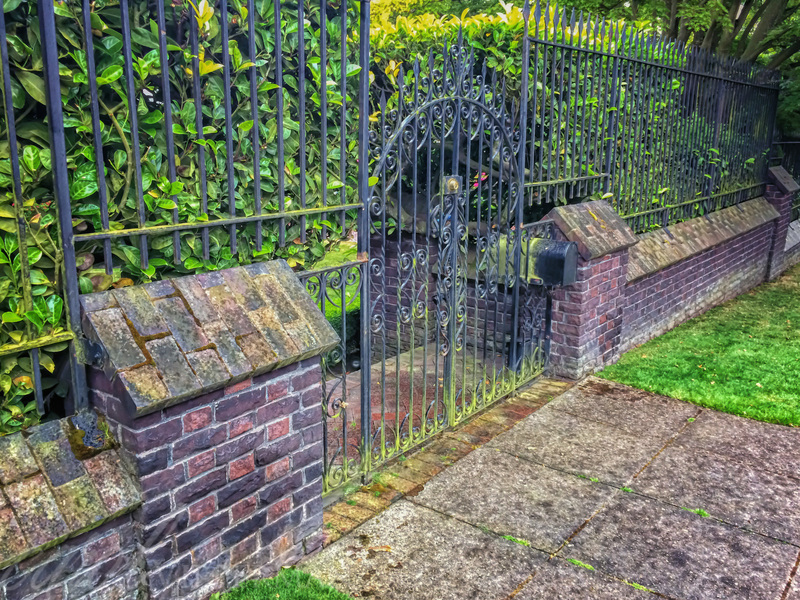 What I didn’t expect were the high resolution photos, such as this gate along my walk. Or this flower that was wet from a recent rain fall. 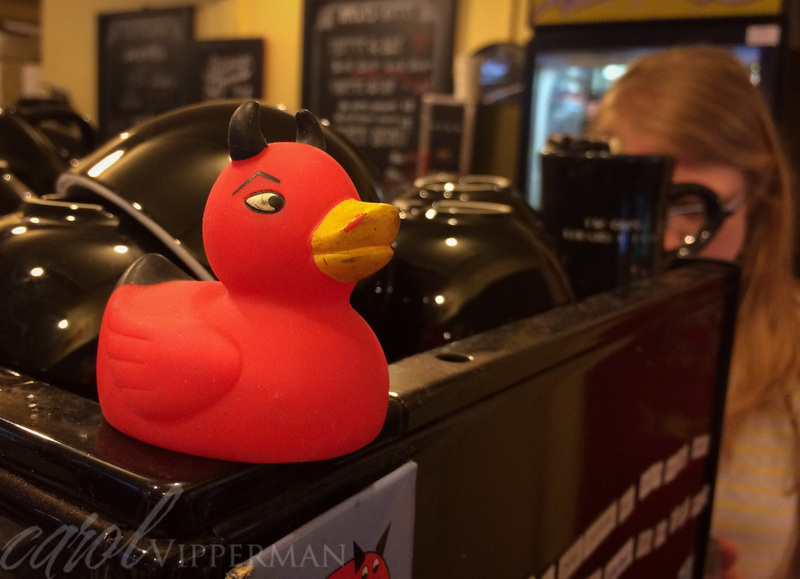 It even tracked my stop for a latte at Diablo Cuban Coffee where I captured this fun shot. 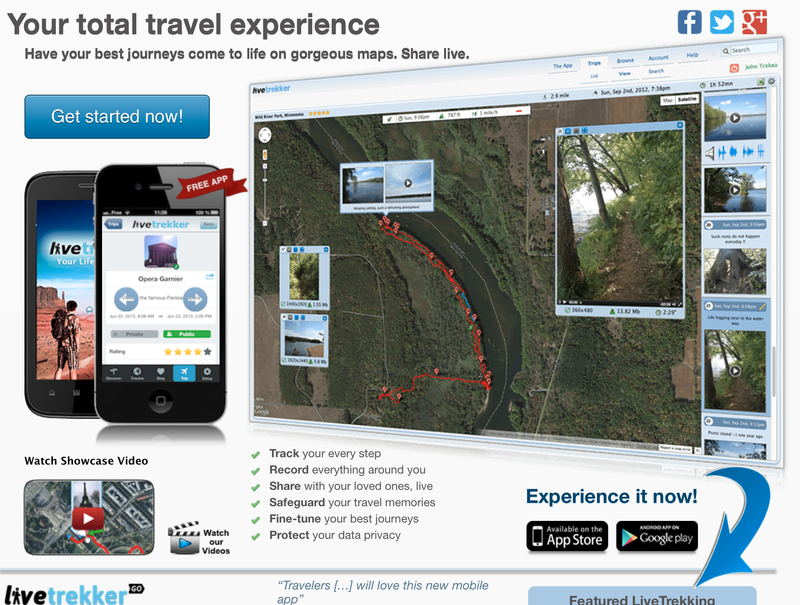 The other app I decided to take for a test walk is LiveTrekker, which is also available for IOS and Android phones. I took it out for a spin on my walk the next day. It did track how long my walk was, and the photos downloaded in high resolution, which I appreciated. I exported them to Lightroom and made a few edits, but they were good right out of the camera phone. Like the author of the New York Times’ article, I like LiveTrekker’s photographic map, so I will experiment more over the next few days, now that my GPS is enabled, and see how this app fully works. 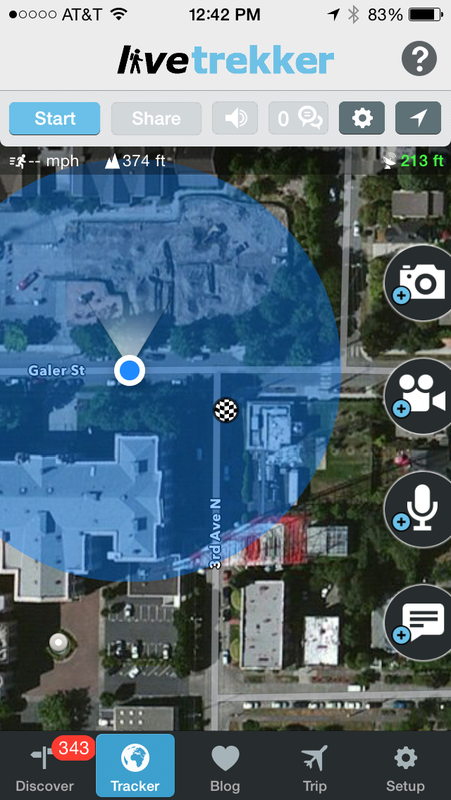 A couple lessons learned for me: first get familiar with the app before charging out the door (enable GPS! ), and be sure to have a fully powered phone since these apps can drain your battery pretty quickly. Although I prefer walking with my Canon 6D on the weekends, I found tracking my walk, seeing my statistics, while taking photos with my iPhone a fun option. Let us know what tracking apps you use and like by commenting below, posting on our Facebook page, or sending us an email at getmoving@camerawalking.com. We love to hear from you.